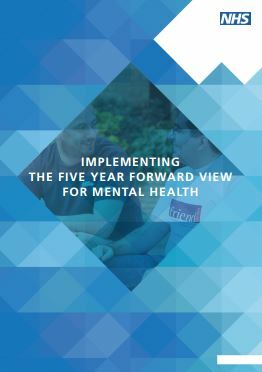 The Five Year Forward View for Mental Health has made an unarguable case for transforming mental health care in England. The costs of mental ill health – whether to the individual, their family or carer, the NHS or wider society – are stark. The opportunity of action cannot be ignored, and this document describes how we will take the action required. The document falls into chapters which outline the core elements of the programme and provide a roadmap to deliver each of the objectives. These are followed by sections describing cross-cutting work on infrastructure and supporting frameworks, as well as the support offer to localities to help them implement this plan.